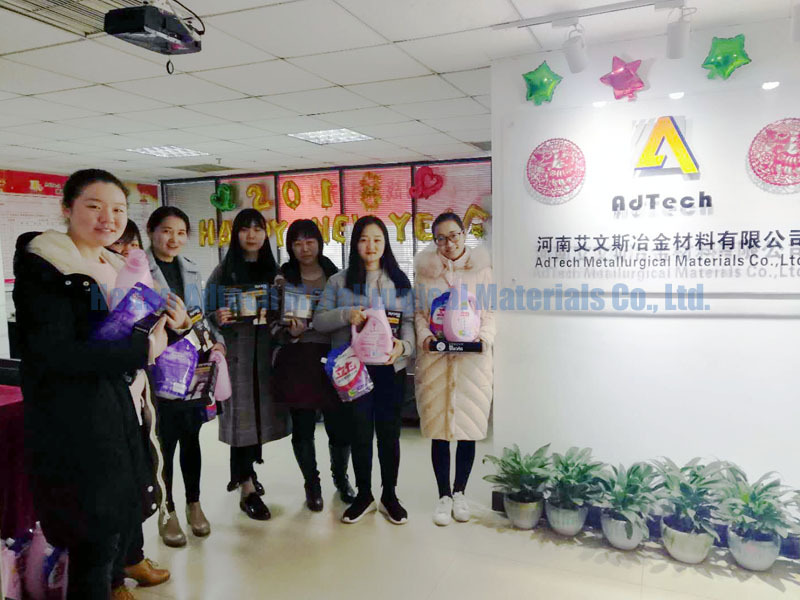 International Women's Day -AdTech Metallurgical Materials Co.,Ltd. International Women’s Day (IWD) is celebrated on March 8 every year. It commemorates the movement for women’s rights. While the first observance of a Women’s Day was held on February 28, 1909 in New York, March 8 was suggested by the 1910 International Woman’s Conference to become an “International Woman’s Day.” After women gained suffrage in Soviet Russia in 1917, March 8 became a national holiday there. The day was then predominantly celebrated by the socialist movement and communist countries until it was adopted in 1975 by the United Nations. 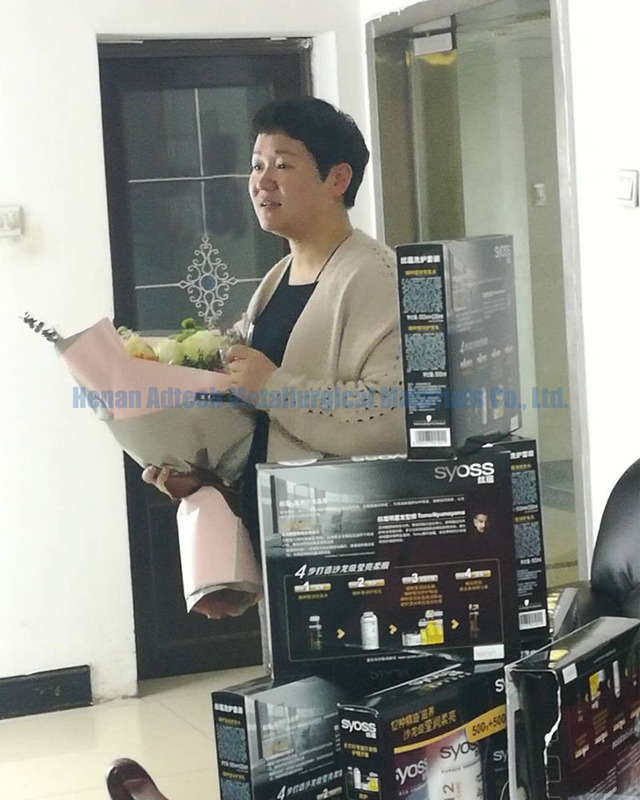 The CEO XueJun Xiong from AdTech Metallurgical Materials Co.,Ltd. Celebrate the festival with Adtech’s International sales.